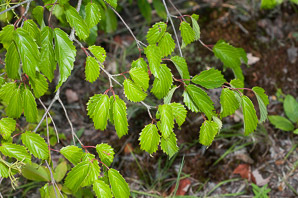 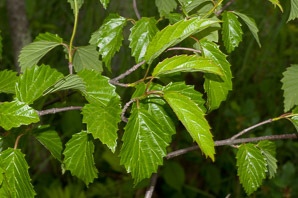 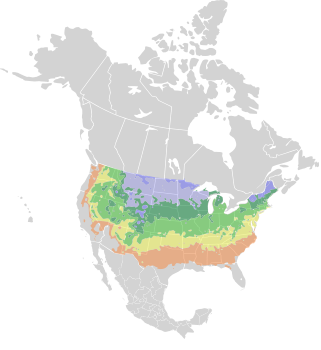 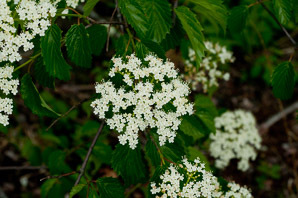 Arrowwood is native to eastern North America. 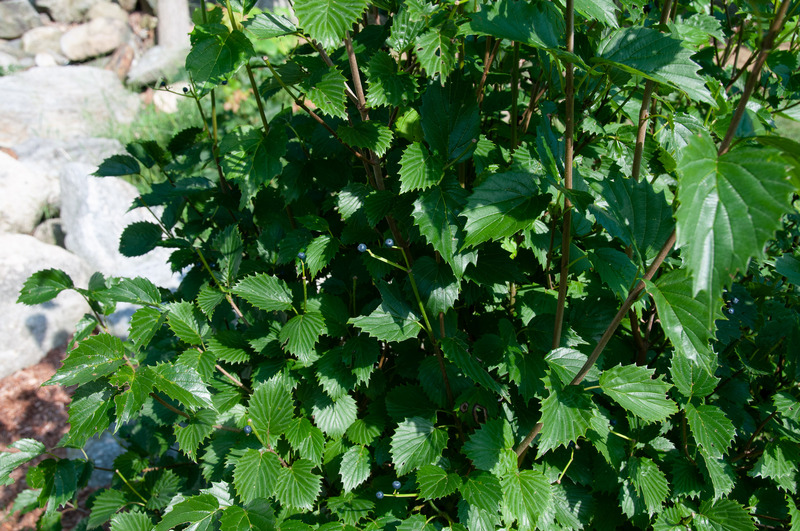 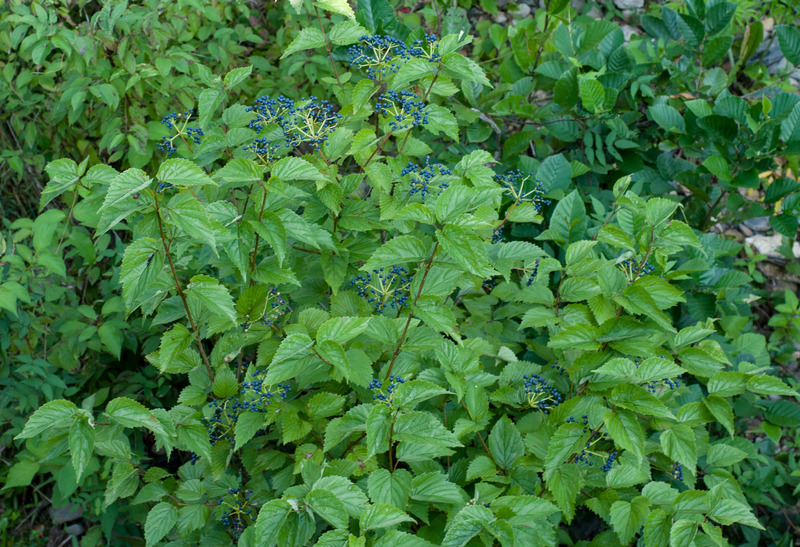 Identification: Arrowwood is a densely-branched shrub that is 6-10' (1.8-3 m) around. 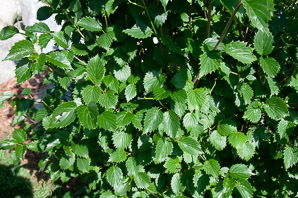 (Rarely, plants can reach 15' (4.6 m).) 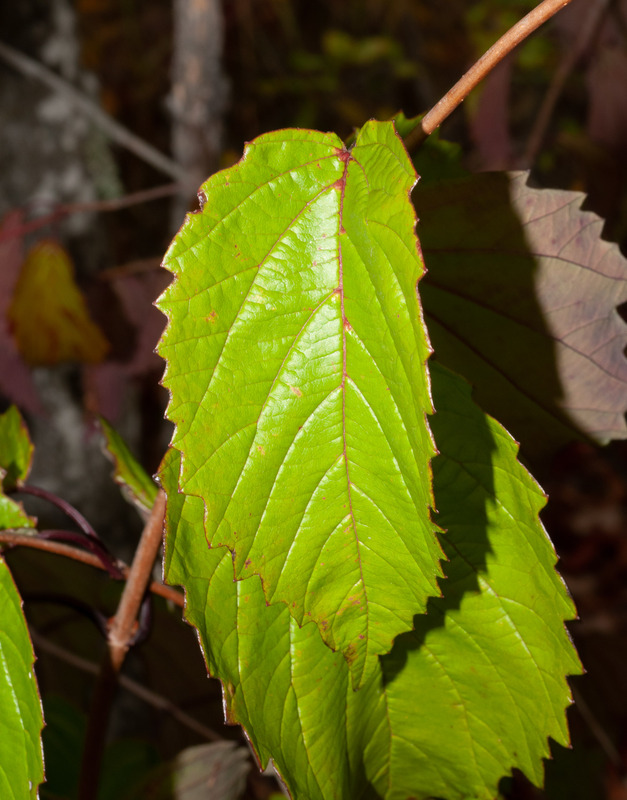 The leaves are often shiny, roughly oval, toothed, strongly textured and veined, somewhat rough to the touch, and 2-4½" (5-11 cm) long. 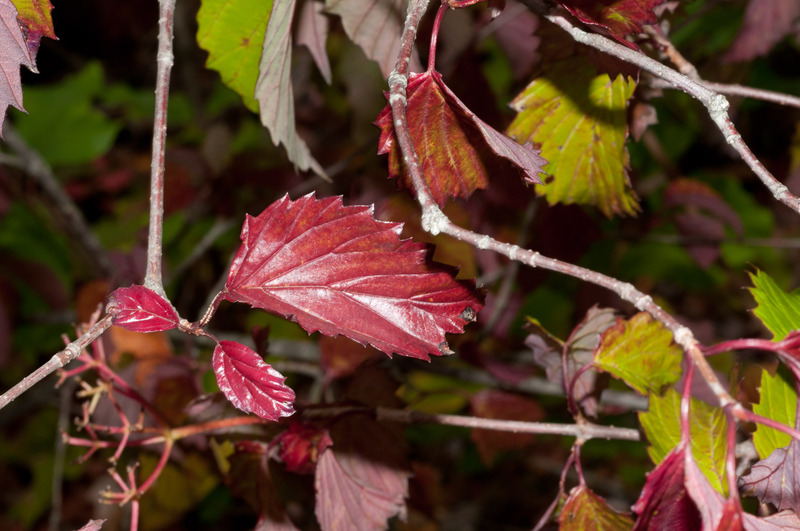 In the fall, leaves may turn yellow or reddish purple. 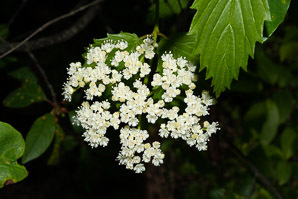 Cream-colored corymbs (flat-topped flower clusters) 1-4" (2.5-10 cm) across consist of tiny flowers about ⅛" (3.2 mm) across. 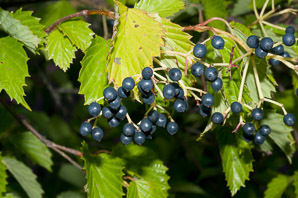 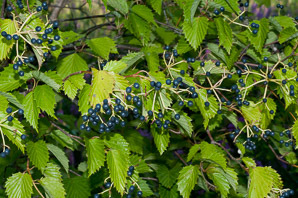 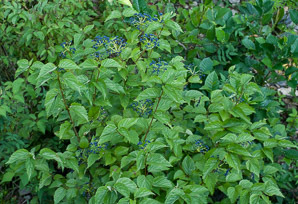 Blue-black berries ¼" (6.3 mm) around appear in flattened clusters. See this comparison table showing Viburnums that are presently in our database, or this nicely done Viburnum species guide. 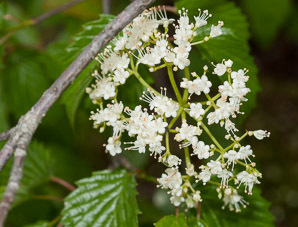 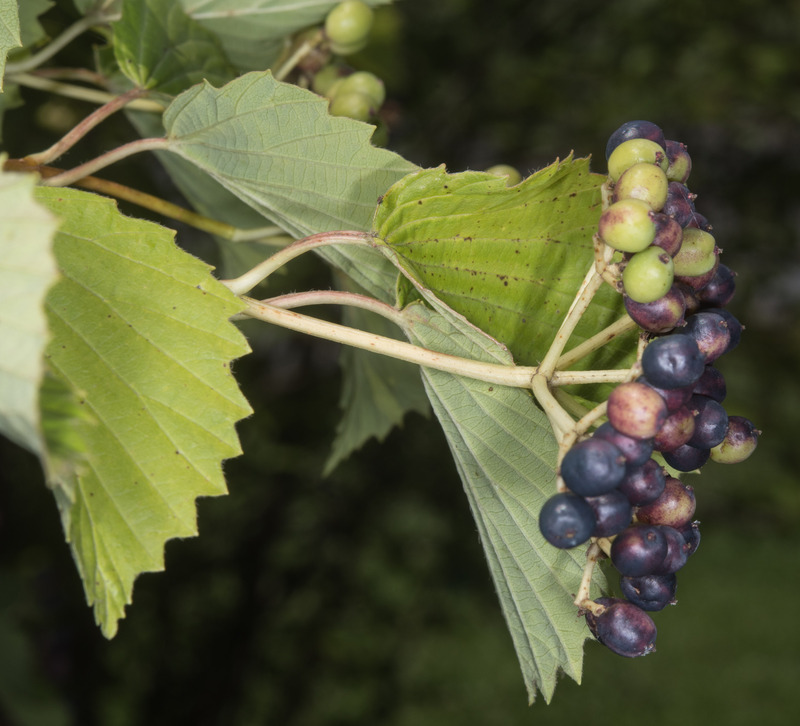 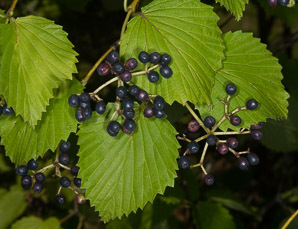 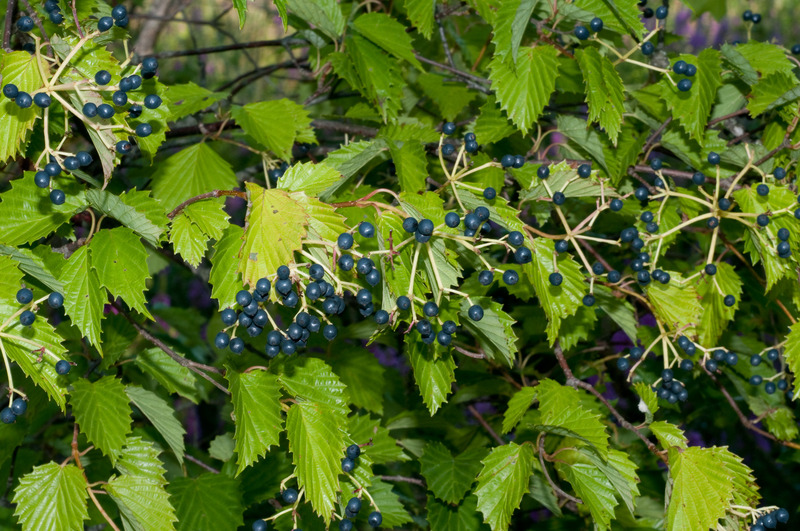 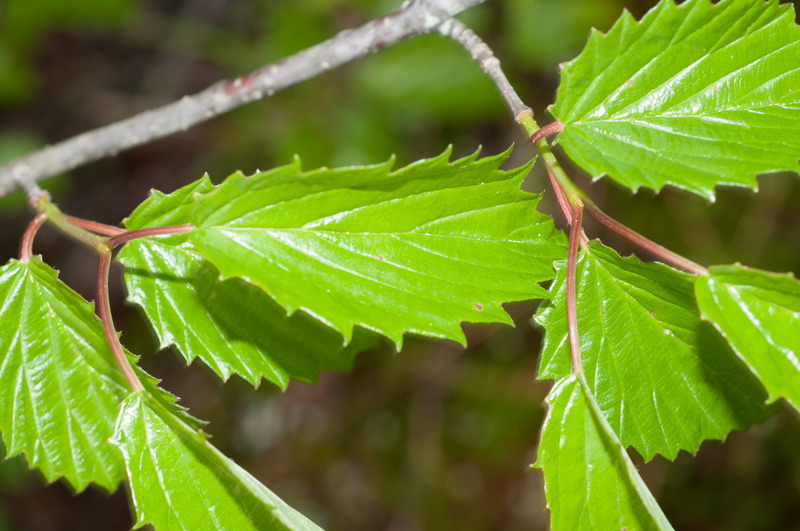 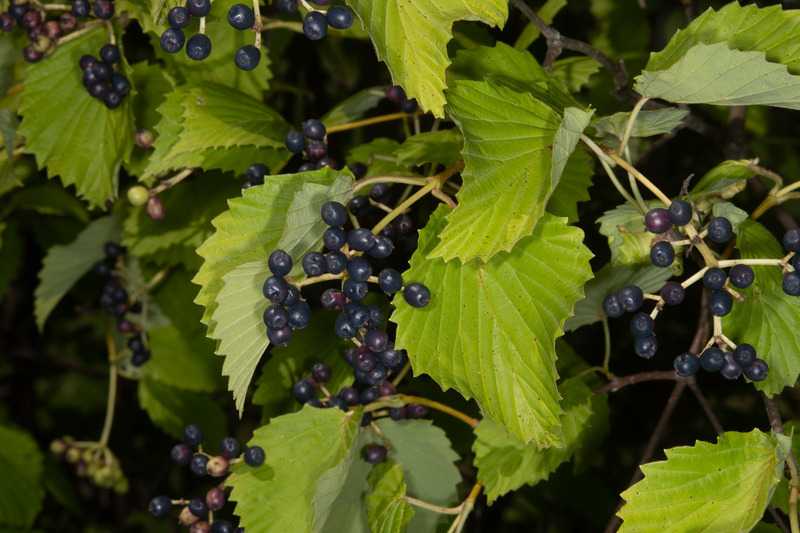 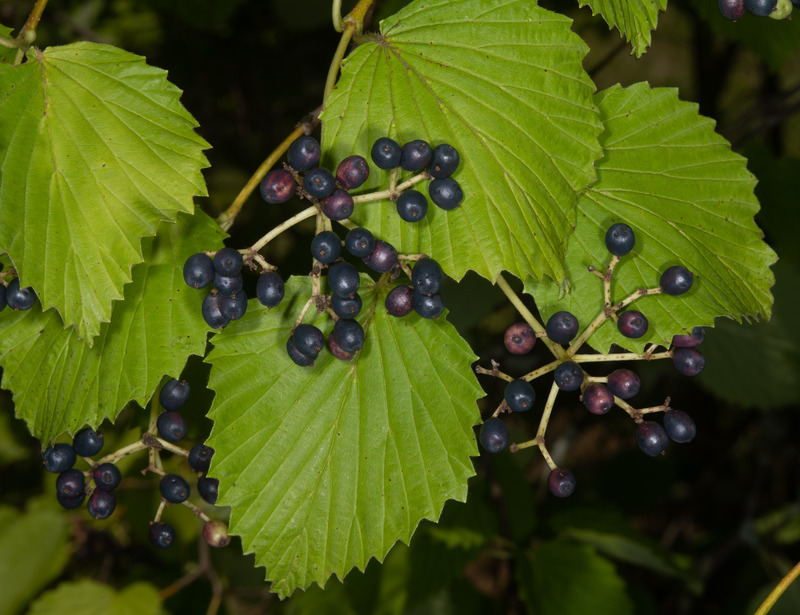 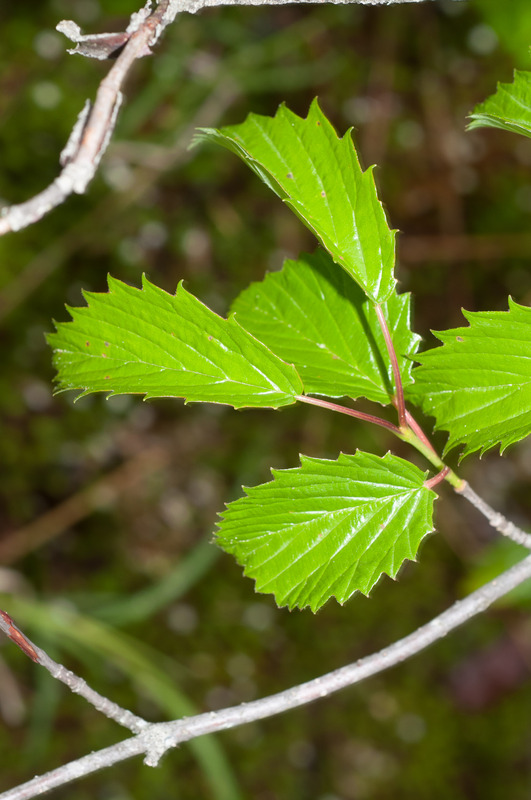 Viburnum dentatum description by Thomas H. Kent, last updated 2 Jan 2019.